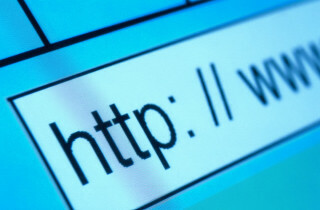 This content will be hosted here until www.CognitiveAccessibility.org is online. Prior to my work in in cognitive accessibility and the cognitive neurosciences, I spent 17 years working as a nuclear medicine technologist, medical consultant, and a small business owner. 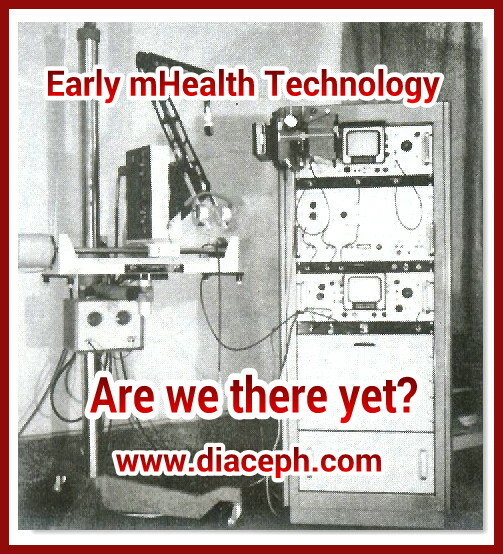 During those years, while working with some 50-60 hospitals & imaging centers, I came across many different types of imaging instruments, some of which were archaic and/or very poorly designed. Yet, I was still able to adapt and extract valuable diagnostic information from these instruments for my patients, including, instruments like the old analog thyroid scanner pictured here. Then in 1992, I suffered a brain injury during an automobile accident, and was forced to undergo surgery for placement of a CNS shunt for hydrocephalus. I then had to adapt to a complex and often confusing world, that is not well adapted for persons with cognitive disabilities. Fortunately, I was familiar with hydrocephalus & CNS shunts from my nuclear medicine work, and post injury I became very involved in testing & diagnostics, and user instructions and labeling of CNS shunt devices. These efforts led me to author a critical petition in 1996 to the Food & Drug Administration on problems with anti-siphon shunts, much of which centered on problems with their labeling and user instructions. As I would learn, few neurosurgeons in the field then really understood CNS shunts and how each was to be used. For many years (even as late as 2010), neurosurgeons often said, "All shunts are really the same." And of course, I cited this in my petition and in other efforts, and described how many of the CNS shunt user instructions then by shunt manufacturers were like something out of a 1960s medical text book. And FDA agreed! I bring this up here, because it speaks to cognitive accessibility & usability of highly complex CNS shunt devices by neurosurgeons. My point is, whether we're speaking of CNS shunt devices, nuclear medicine instruments, consumer devices, or instructions in public places, cognitive accessibility & usability still applies. The primary difference then being a different user audience, and different threshold of background knowledge. These same principles apply to teaching, where teachers must make their content understandable or accessible to a wide range of students. 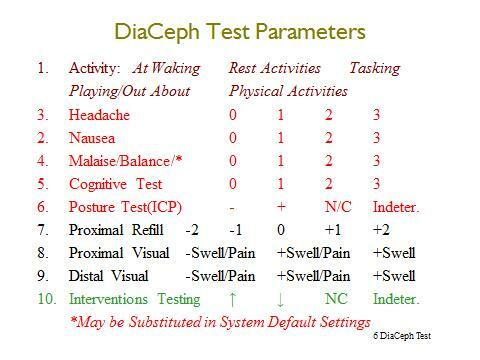 My first cognitive accessible artificial intelligence, or AI design, came in 1996-97 with the design of the DiaCeph Test for home monitoring of hydrocephalus. 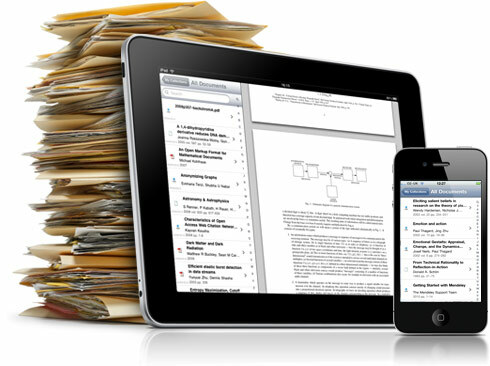 The challenge was in creating software for a PDA with sufficient user instructions so that its scientific methods would be understandable by both patients/families, and neurosurgeons. As my work with AI progressed, I began to explore its uses with the new Palm Pilot PDA. And I then began to adapt cognitive uses to mobile phones, digital recorders, digital cameras, and then smart phones and apps today. By 2002, I had been in contact with accessibility staff at Hewlett Packard, the Trace Center in Wisconsin, the Coleman Institute in Colorado, Microsoft, and others. However, and that time, most all of the groups were focused on lower functioning users, needs, and solutions. Without any support for the AI high functioning products I wanted to produce, I was forced to move on to other things. 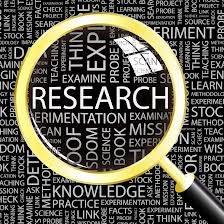 Over the following few years, I provided some neurosciences consulting, expert witness work, and brought a product's liability failure to warn case against manufacturers of two very popular & opposing bathroom cleaning products. I had inadvertently mixed the two in my home and ended up in the hospital with chemical pneumonitis in 2001. I felt bringing this case would be a true test of my skills in user instructions, science, and public safety. At the time, I was not too familiar with bathroom cleaners, but I knew I'd pick it up. And law is in my genes! The case went on for 10 months. In the end, I prevailed on defendants' Motions for Summary Judgment. I bring this up, because today I find remarkable similarities between product's liability failure to warn and cognitive accessibility - rarely brought in civil suits in Superior Court. Yes, the threshold of information is different. But manufacturers still must provide adequate user instructions, which for persons with cognitive disabilities, must be very specific. Then in 2004, I became involved in drumming, or drum circles, and I began to explore its use in persons with sensory processing disorders (SPDs), and other disorders of the brain. I stayed abreast of developments in assistive (cognitive) technologies. And in 2008, this led to cognitive accessibility of mobile smart phones and led me to Clayton Lewis at the U. of Colorado. Here, I shared a vision with him for a special "Cognitive Accessibility" category of smart phones for users with special cognitive needs. It seemed like a great idea. But, sadly I would learn the time wasn't right. Reasonable protection & accommodation from unhealthful sounds, lights, scents, and motion/vibration in public places, and in public broadcasts. This would extend to the volume in TV commercials already established by the 2012 CALM Act. In addition, I am calling for the development of an audio "Sound Sensory Processing Standard, for use in TV & radio commercials, movies, television programs, and the like, to establish a clear audio standard on what is considered unhealthful mixing and manipulation of audio for persons with sensory processing disorders, or SPDs. At the present time, the only standard is the Decibel Scale, which only measures loudness, and not the viability of audio broadcasts for processing by listeners. Reasonable accommodations and new cognitive accessibility standards for access/use of web sites, mobile phones, consumer and household instruments, consumer products, user instructions, and their warnings, and labeling. These should meet new all new standards for user access, and usability, and lay out clear consequences for non-compliance. A higher threshold of reliability, usability, and customer support for (established) assistive cognitive technologies, which persons with special cognitive needs and cognitive disabilities may use as an assistive aid for their cognitive disability. 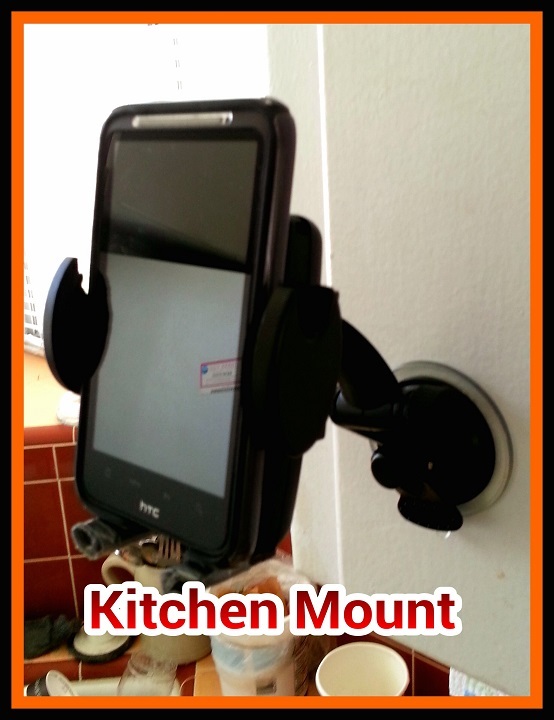 Over the last 5 years, many users with special cognitive needs have come to rely upon mobile phones, smart phones, PDA assistants, tablet computers, and accessory gadgets as cognitive aids. But, manufacturers and service providers too often treat the devices and user needs as toys, and "let the buyer beware" when it comes to updates, customer service, and acceptable levels of reliability. For users with special cognitive needs, today's level of tech support and reliability for these device is often unacceptable. On mere contract law alone, many manufacturers are in breach of user warranties. For a user with cognitive needs, the experience and failures can amount to a long horrible nightmare. The U.S. and much of the world, in my view, has very outdated beliefs about brain disability, brain health, and cognitive accessibility. 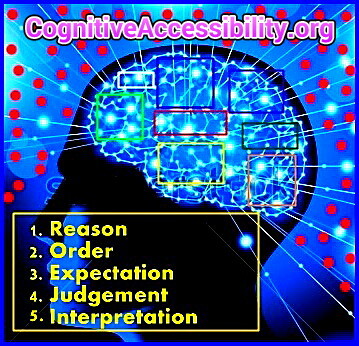 I hope to publish a new web site www.CognitiveAccessibility.org to write about the issues, brain science, and real design solutions. I hope to cover cognitive accessible designs for websites, product labels, store displays, and access/usability standards for public places, with consideration to the above Three Pronged Cognitive Accessibility Platform. 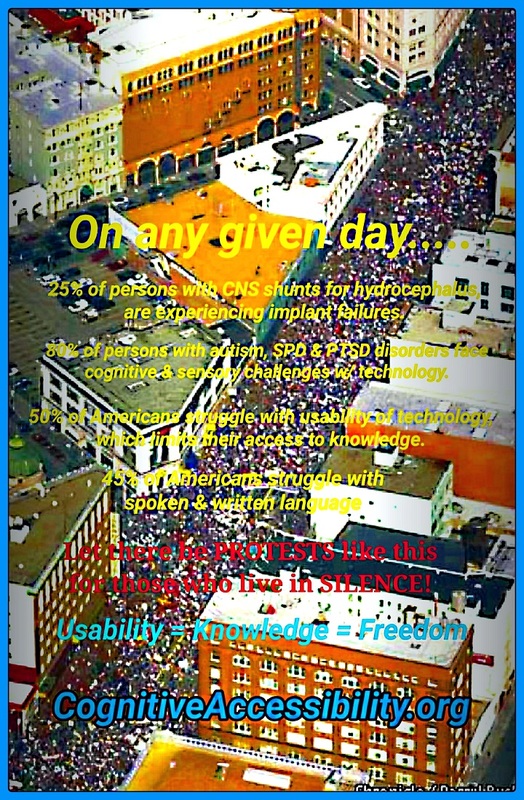 Because of my experiences in living with cognitive disability as a result of hydrocephalus and numerous shunt malfunctions and surgeries over 22 years, I feel I bring a unique perspective and understanding to this debate. As of 2014, I've undergone a total of 12 shunt revisions, and have used my own ingenuity to help direct many of these surgeries, and help others around the world. 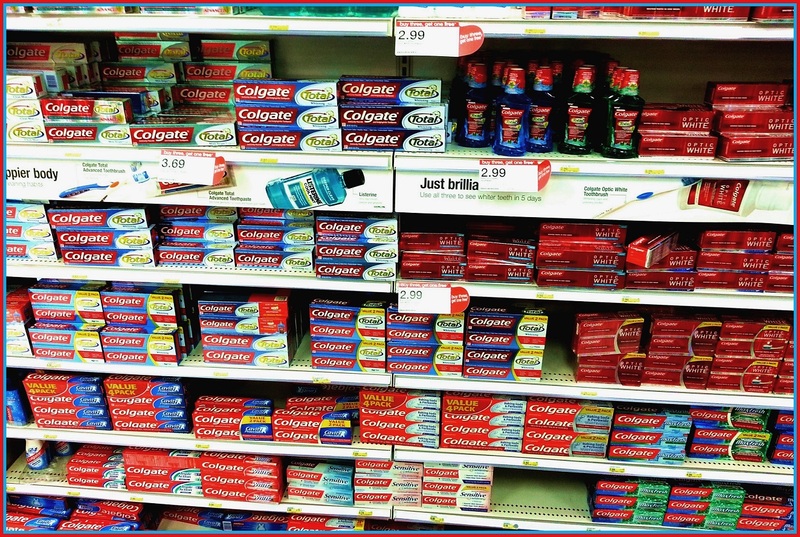 More recently while I was at an area Target store, I came upon & photographed some 50-55 different makes of Colgate toothpaste (photo, top left) on Target store shelves. I believe their offering 50-55 makes of toothpaste poses significant cognitive challenges to the many consumers with special cognitive needs. The confusing display creates unnecessary cognitive barriers, and is in need of substantial redesign both of its packaging, and store shelf display. These type of product labeling barriers can also extend to web sites, mobile apps, printed materials, other labels, instructions on store shelves, and directions in public places. There are countless examples of problematic cognitive designs today that need to be modernized. 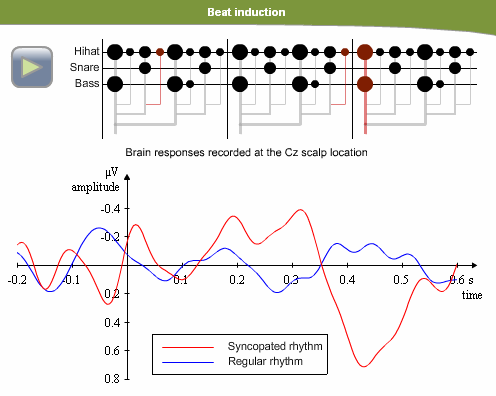 Through my wider efforts in the the cognitive neurosciences, I've been involved in learning, sensory processing disorder, cognitive assistive technologies, music therapy & drumming, and mHealth apps and diagnostics to improve brain health. Cognitive accessibility is the latest prong in these efforts. In 2014, I filed a request/complaint to the Internet Association [of things] as to improving the cognitive accessibility on cognitive accessibility of web sites. Below, I list other supporting web pages with regards to cognitive accessibility and the cognitive neurosciences.